The Colruyt Group has been around for more than 80 years in the retail grocery and supermarket industry. In this time the company has grown from a family business to a family of businesses. Colruyt, DreamBaby, DreamLand, Bio-Planet, and Spar are but a few of the companies belonging to the Colruyt Group. Managing a worldwide network with more than 30,000 employees and 800 locations across every continent is no simple task—especially since a single network management team is responsible for the entire network, including brick-and-mortar locations, distribution centers, administrative buildings, and data centers. As the Colruyt Group keeps growing, so does its IT infrastructure. Colruyt Group has automated processes based on customer scripts developed and managed by its network engineers, but this continuous growth was beginning to take its toll on the legacy solution—and on the small team of 20 network engineers. Minor glitches often had to be attended to on an ad hoc basis, and processes that should have taken 30 seconds easily took 30 minutes. This inefficiency increased operational costs and worked against Colruyt Group’s strategy of giving its customers the lowest price on the market. “We have always organized our network management ourselves, but over time, this task simply got too extensive, too complex, and too fragmented. If we wanted to keep on using the same processes, we would have had to hire two or three more people. Fortunately, there are tools available for network management today that can enable us to automate many of the tasks that once took precious engineer time to complete,” says Michel Deneyer, team lead of network solutions at Colruyt Group Services. As the Colruyt Group began to explore solutions, they had two important criteria. The first was flexibility. The Colruyt Group needed a solution that could meet their needs for automation and above all, efficiency. The second was compatibility. The company wanted the freedom to choose the hardware on which the network is run, not the other way around. SecureLink, an Infoblox Elite Partner, recommended Infoblox DNS and NetMRI solutions for their ability to provide the flexibility and compatibility the group was looking for. Today, efficiency is at the heart of the Colruyt Group’s management and automation of all processes. Infoblox NetMRI is deployed for the management of more than 1,000 servers, 4,000 switches, 1,000 routers, and 6,000 access points. If conflicts arise, the Infoblox solution immediately sends out an alert so that the network managers can carry out adjustments before issues emerge. To this end, the Colruyt Group uses 11,000 licenses, which makes it one of the biggest Infoblox NetMRI projects in Europe. The company will also leverage Infoblox DDI for Domain Name System (DNS) management. 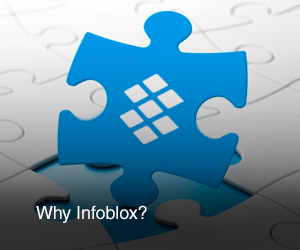 With several months of Infoblox NetMRI experience behind them, the network team can clearly see the positive results. “Thanks to the increased visibility afforded to us by Infoblox NetMRI, we discovered, among other things, that certain ports were not being used. By simply deactivating them, we saved a significant amount of expense in terms of operational load, maintenance, and time,” says Deneyer. One of these business-supporting projects is the company’s recently implemented mobile payment system, which enables customers to pay for their purchases with the Colruyt app, in the shop and on line—a first in Belgium. The Colruyt Group is also working on optimizing its internal operability. Thus the team is ready to facilitate a bring-your-own-device program, which because of Infoblox, the network team now has the tools and ability to support.